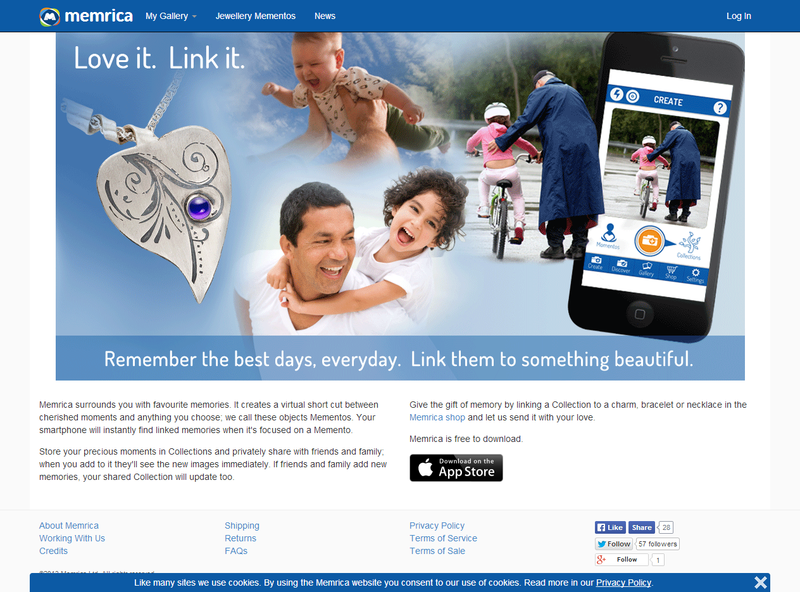 Memrica is a service which allows users to link objects ("Mementos") and photos ("Memories") via an iPhone app, effectively storing their memories with the memento. The memento can then be kept or gifted to another Memrica member, along with a gift code to redeem the attached memories. The recipient can then recall the attached memories by pointing the phone's camera at the object again. With only a short deadline before launch, I was hired to create the front-end for the service's web app and jewellery shop. A web app needed to be built to allow users to manage their content and upload memories from devices other than their phone, as well as to promote the app and share uploaded content with friends and family. The client also wanted a jewellery shop to sell charm bracelets and necklaces, to which memories could be pre-attached for gifting to loved ones. The site includes a full stock management system, text editors for help and product pages, content and user administration tools and a WordPress news feed/blog. My role was to design and build the front-end of the site to match the existing company branding, interacting with the same RESTful API as the app itself. 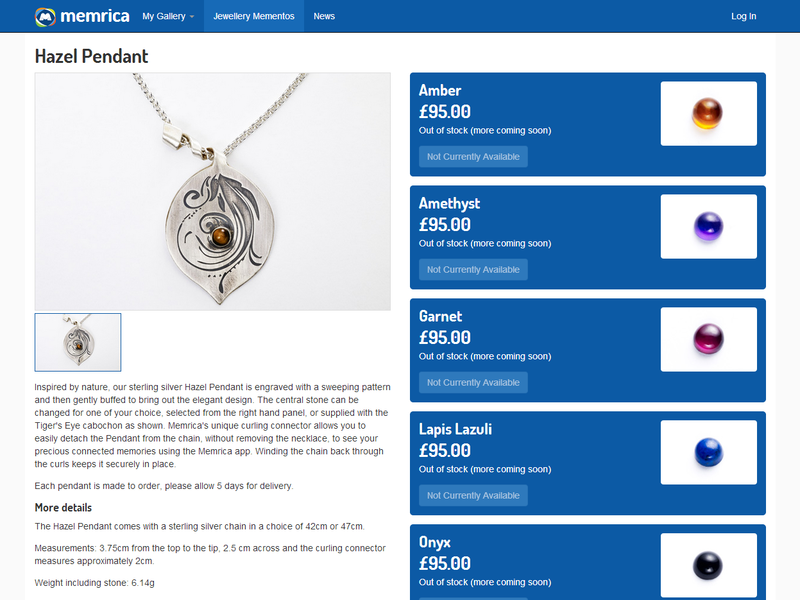 The site layout also needed to be fully responsive and touch-friendly so the jewellery shop interface could be used in the phone app. Certain products had different options such as size, stone or colour. A large, bold design was chosen to make the site as accessible as possible, and easy to use on small touchscreen devices. 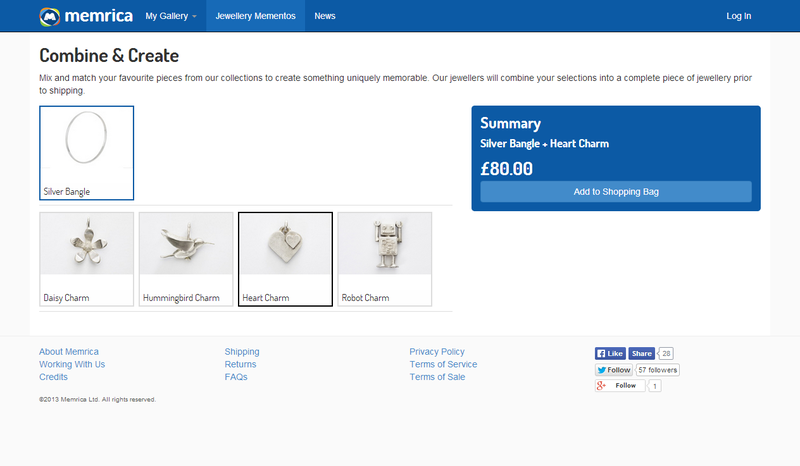 Some items, such as the charm bracelet and the silver bangle, can be combined together with charms before shipping via the "Combine & Create" tool. 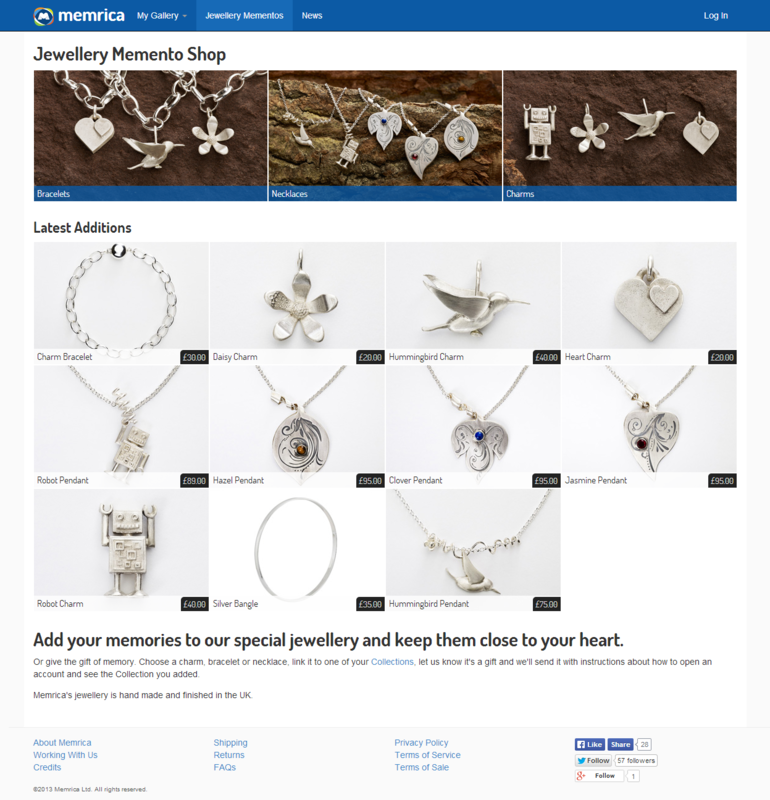 The web app provides simple editing of collections of memories attached to mementos.